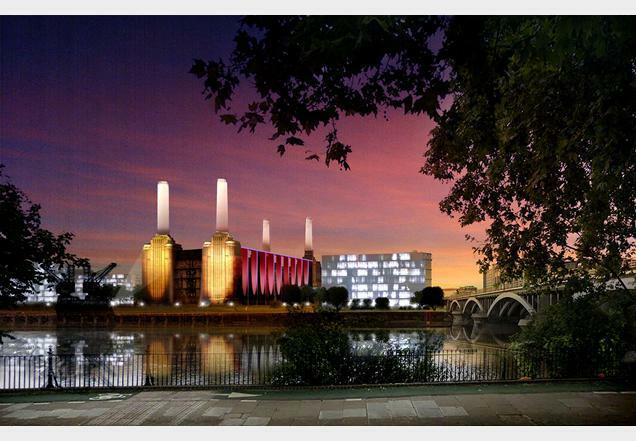 Further images of the proposal by Terry Farrell to remodel Battersea Power Station, which we first learned of late last year, have emerged, as reported by Building Design (registration required). 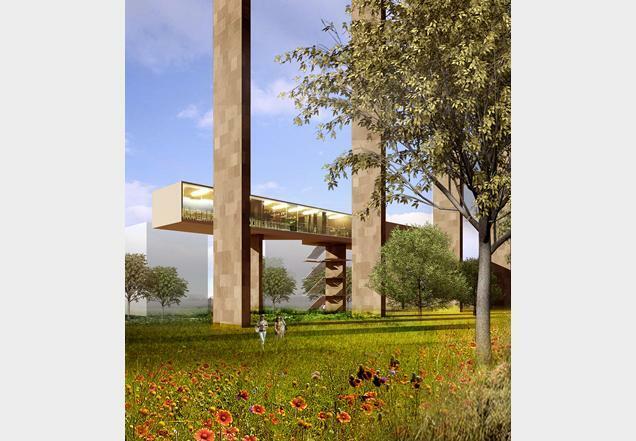 The plan would demolish the side walls of the grade II*-listed building, replacing them with a colonnade that opens up into a park in the building's central space. Much of the building's signature details, including the chimneys, the turbine halls and the control rooms, would be retained. However, the Farrell plan is only one of many, and not all are so reverent towards the iconic building. 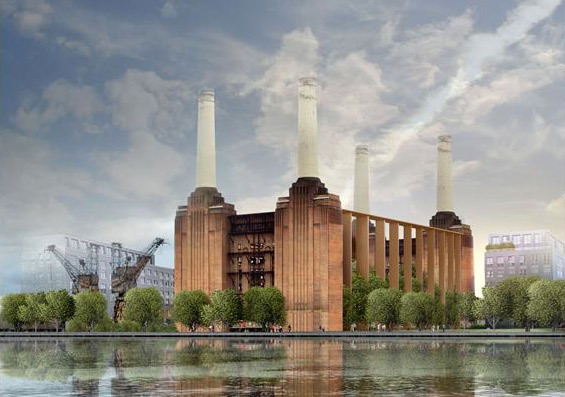 A report earlier this week concluded that nearly £500 million could be shaved off any redevelopment project if the chimneys, already in a terrible state, were demolished entirely. The most recent attempt at revamping the area failed last year after the company behind it fell into financial difficulty. Chelsea are also known to be interested in building a new football stadium the site. Thirty years after it was operational, one might wonder whether it's possible or desirable to even keep the building standing at all. 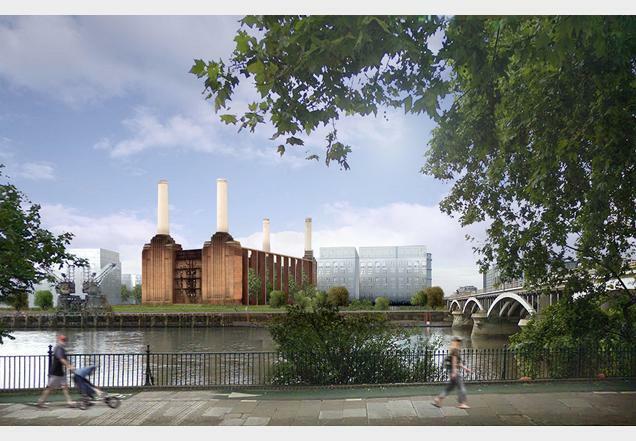 Advocates for its destruction have come from some unlikely sources, including design commentator Stephen Bayley, who thinks keeping it is "mindless nostalgia" for Britain's industrial past. Yet its demolition is unlikely: the building has an emotional hold on the city, English Heritage isn't likely to alter its listed status, and the success of Giles Gilbert Scott's other riverside power station at Bankside since it was redeveloped into Tate Modern suggests that redevelopment could work, albeit perhaps not on the same scale. The question is: have we already run out of time?